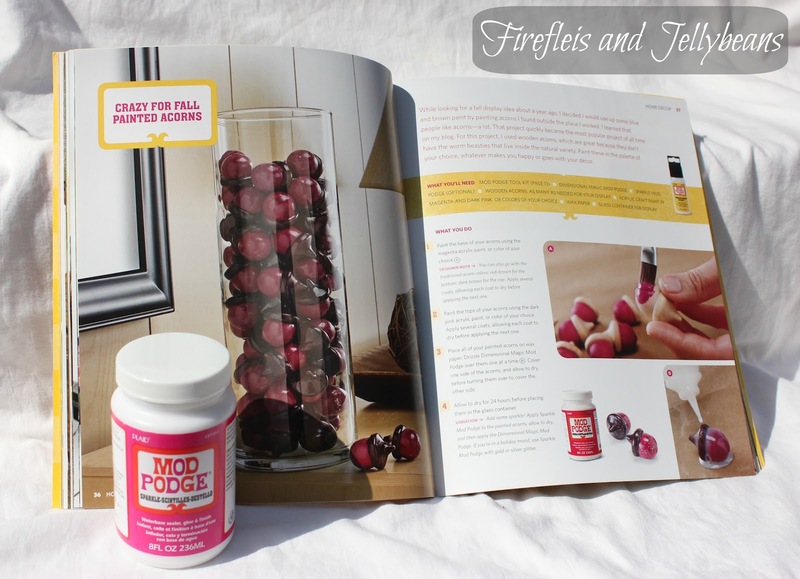 Fireflies and Jellybeans: Mod Podge Rocks Book Review AND Giveaway! 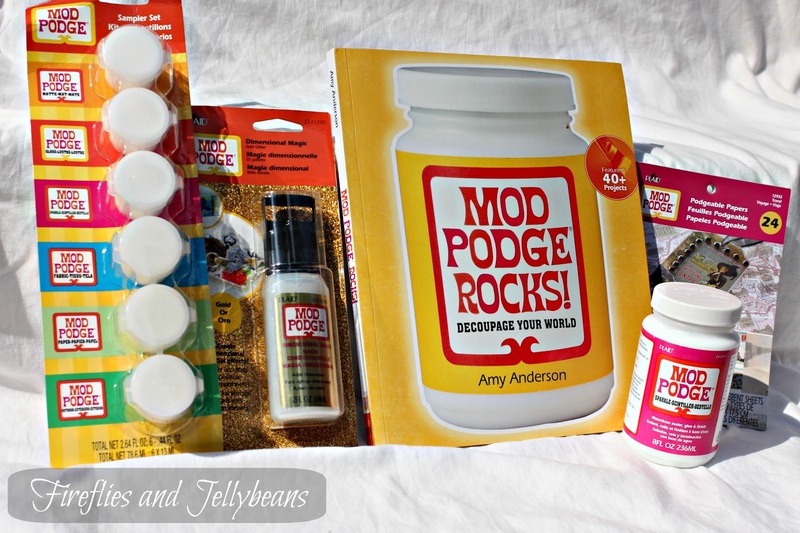 I am sure by now you have heard of the WONDERFUL Amy Anderson of the Mod Podge Rocks blog. 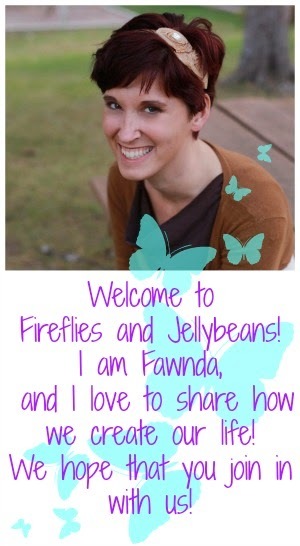 She is awesome and showcases amazing ideas using Mod Podge! Well, she has written a book called: Mod Podge Rocks! And it has over 40 Mod Podging crafty projects for you with step-by-step instructions! 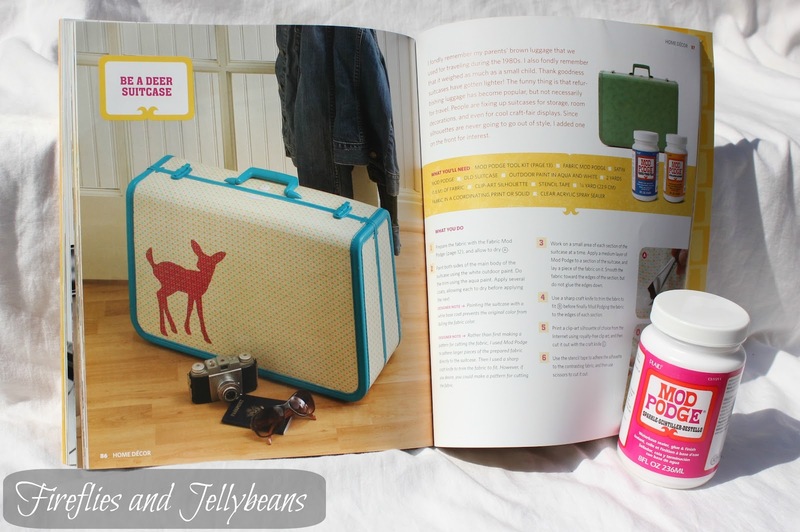 She also includes tips and tricks to using Mod Podge to get the best results! I don't want to giveaway the whole book but I do want to show off a couple of my favorite projects to get you guys excited about it! I am now searching for a hard cover suit case to Mod Podge. Now here is where you get excited because I am giving away one of her books to one lucky reader... AND it is coming with some awesome Mod Podgey goodness too! We will be using Rifflecopter for this giveaway. Log in either with your email or Facebook. 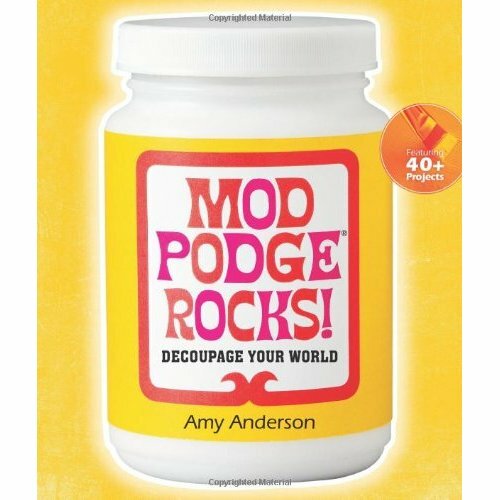 What Mod Podge Projects do you want to work on next? That's it! Only 1 entry person. US Residents only. Giveaway closes next Friday (7/20) at midnight. I have a cardboard box I am going to cover with scrapbook paper scraps! It's time to Mod Podge up some artwork for my house. My walls are so bare! I have a picture frame, and possible a canvas. I want to make a pretty container for my hand made cards. Oh, goodness, how to narrow it down...I saw a project with dried flowers and MP on pinterest the other day that I want to try! I love the suitcase idea. I saw one similar at a thrift store the other day...maybe I should go back for it! I think it's time to try mod-podging another pair of shoes! I have a handbag refashion in mind, also using old record albums in another project plus jewelry items, too. Love Mod Podge. So many things I want to do... maybe a collage on a canvas I've been saving for a couple months next? I have some containers I need to spruce up for my sewing table. 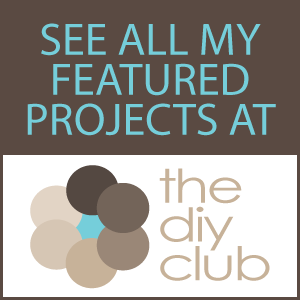 I have several projects I'd like to do for my daughter's room. First on my list is some wooden name letters for her wall. I'd also like to do something with her old, ugly book shelf. I would love to work on some x-mas ornaments that i have lying around unfinished. I do some fun photo crafts with it. I'm working on some mod podge scrapbook paper wood letters today! I am looking forward to making some more jewelry pendents. I want to mod podge some old suit cases. I have a wedding gift I need to make for my sister. I have a decorative box that I want to redo with Mod Podge. Thanks for the giveaway. love mod podge!!! would love to have the book! I would decorate some frames. I want to refashion a belt buckle! I've been wanting to try the dimensional Mod Podge. Thanks for the giveaway! I would make more Jewelery... Luv the Mod Podge! I am making a recycled hand bag with Mod Podge and plan to make more now knowing how easy they are! I am going to redecorate my daughter's room and I want to Mod Podge the fan blades--I've never done it before so I'm super-excited to try it out! frames....trays...christmas crafts....I have a list!!! 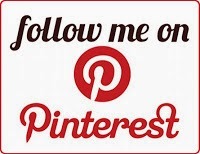 I have several pieces of furniture that I am about to tackle but would LOVE to get my creatvie juices flowing even more!! Tile coasters w/ scrapbook paper and lace! I love mod podge! I want to recreate so many things in my house and do some crafts with my kiddos. working on some photograph frames! maybe a frame or a stool? I have some blocks of wood in my daughter's bathroom that are just calling out for some Mod Podge action! They are part of a wall and are just sitting there empty. I want to Mod Podge a vintage train case!! I'm on the look-out now at all the thrift store :-). I saw a project from the book showing how to Mod Podge boots...perfect for this fall! I like to cut up old comics and Mod Podge superhero collages onto wooden bracelets. Working on Batman for a friend right now, and a coworker requested a Peanuts-themed one. So that'll be my next project! I would like to use Mod Podge and fabric to cover a table top. I've got a kiddie-size table that needs some Mod Podge attention. I am going to use some old discarded Christmas sheet music and use Mod Podge to adhere it to glass jars I've been saving. Add some colorful ribbon and insert a votive candle in the jar. I'm thinking an easy & inexpensive holiday gift! I want to decoupage an old door to make a headboard for my son's bed! I am going to do some photo canvases to hang on the wall. I'm embarrassed to say I've never gotten to Mod Podge anything! I have so many ideas though... I think my first project will be our Family Board for the upcoming homeschool year where we'll track responsibilities and rewards. SOOO excited! :) Thanks for such a great giveaway! I want to Modge Podge my craft room table with pretty scrapbook papers. I bought a jar of fabric Modge Podge. I am going to try and line the drawers of my desk with fabric. I have an old chest of drawer I want to redo, and this would be perfect. 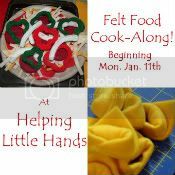 Want to make something for my daughters upcoming teacher. I'm planning on mod podging old pictures onto wood blocks for an upcoming family reunion. I would like to do a couple more tv trays with fabric. Pendants using pictures and glass tiles. I have an antique toy box I want to turn into a "memory box" for myself, and I think ModPodge is the way to go with it!